Plans to create a bridge and link road spanning the Calder and Hebble Navigation canal have been submitted to Calderdale Council. The proposals are he next phase of improvement works on the A629 between Halifax and Huddersfield which aims to reduce journey times, relieve congestion and improve pedestrian and cycling accessibility. 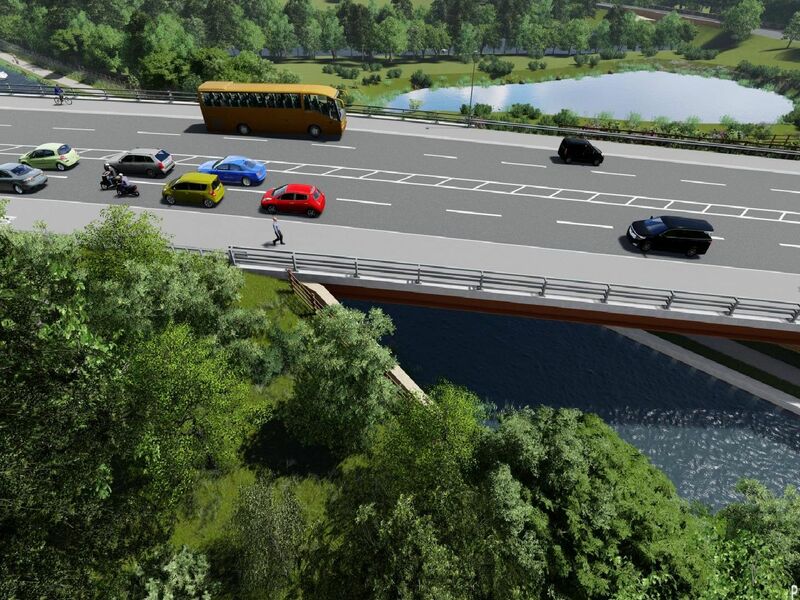 A video of the bridge plans can be seen here but we look closer at the proposals in these images. The planned major upgrade of the A629 Calder andHebbleJunctionhas received funding through the West Yorkshire-plus Transport Fund, and the Leeds City Region Growth Deal. The project includes a new link road between the A629 and Stainland Road via a new bridge spanning the Calder andHebbleNavigation. A new roundabout will be created on Stainland Road, and work will be done to widen Elland Wood Bottom and Stainland Road.